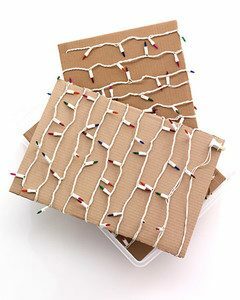 Avoid having to unravel a massive, tangled ball of Christmas lights every year by wrapping strands around pieces of cardboard to keep them from twisting. Shoving a fake tree back into a box every year sure takes it’s toll on the cardboard. 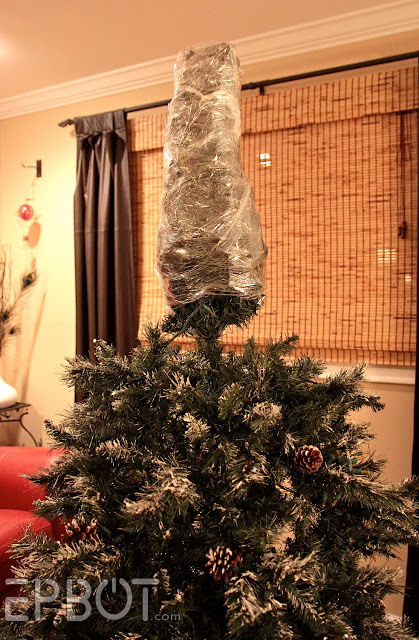 To make sure it fits, and takes up less space than necessary, wrap it in plastic wrap. Leaving wrapping paper in a closet usually leaves you with a torn and unraveled mess. 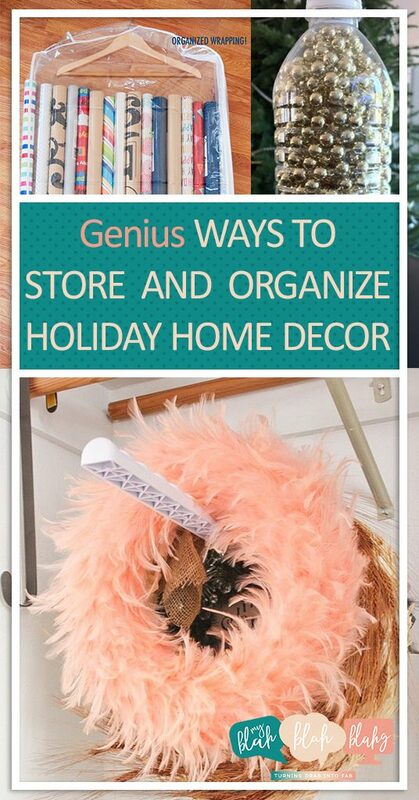 Instead, store it in a garment bag for easy access and safe protection. Get a garment bag for cheap here. 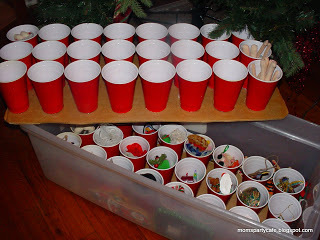 Protect cherished ornaments in a safe and organized box using plastic cups and dividers. 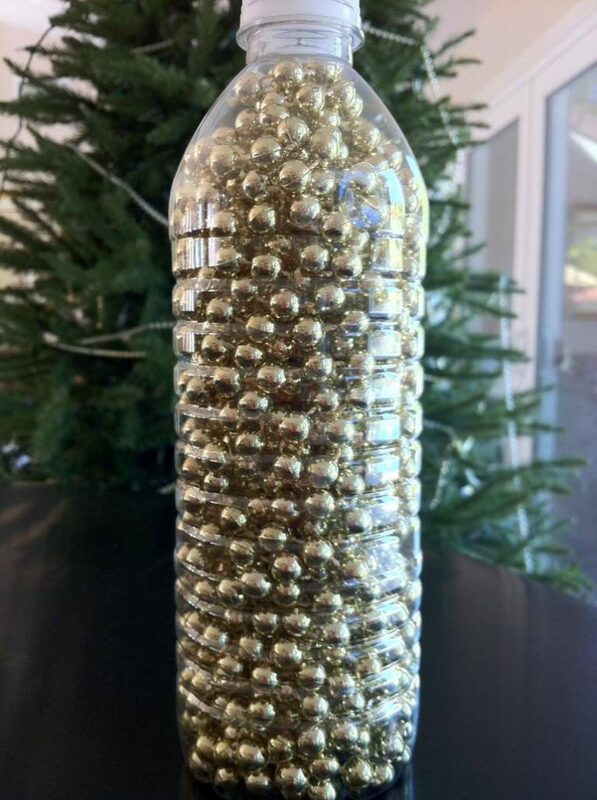 Toss beaded garlands in plastic bottles. This will protect them from breakage better than a plastic bag will. 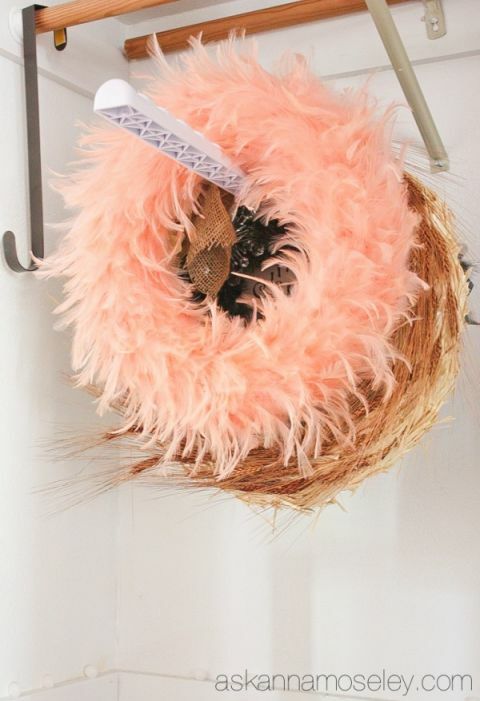 Hang wreaths in a spare closet to save them from being flattened and smushed. 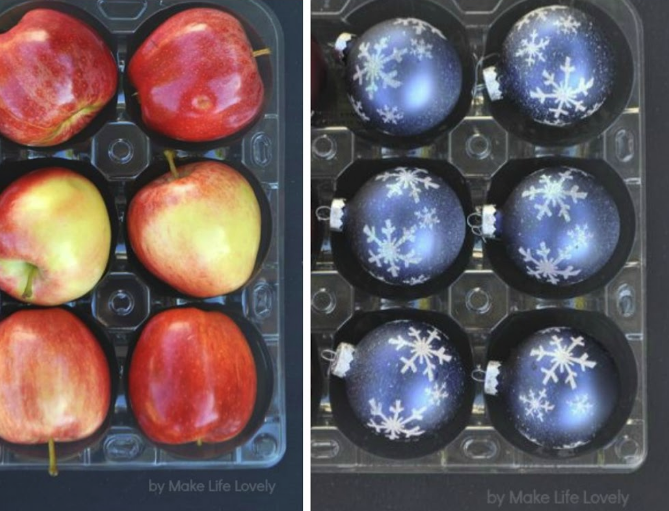 Save your apple containers to safely store fragile glass ball ornaments.